Dr. Wayne Dyer (Source: Cancershift.com). 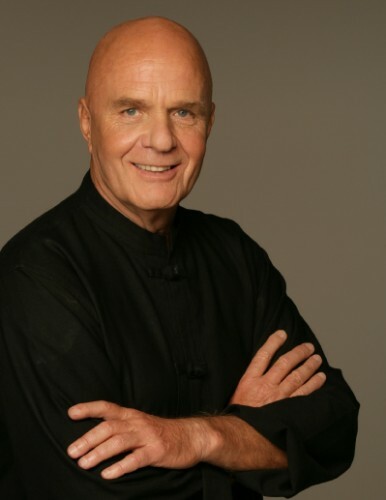 It is with some personal sadness that I offer my own thank you to Wayne Dyer, philosopher, author, speaker, new though expert and self-development coach. Wayne was one of only a handful of well-known life coaches that I greatly respected, listened to and admired. He had the kind of compassion that only one that has known the bottom rungs of the ladder can attain, with an early life in the orphanage system and a later segment of his life spent dealing with alcoholism. Through the tough times Dr. Dyer would attain the kind of heart centred compassion that would go on to later make him a brilliant light for so many hundreds of thousands of people with their own struggles. He also can be credited with bringing to public attention dozens of other now highly admired speakers and authors, he was always happy to help pull someone else up the ladders that he had climbed rung by rung over his 75 year long life. In his last few years Dr. Wayne had battled cancer, of transcended cancer depending on how you view it. He continued to work and teach, whilst being assisted by many other therapists and light workers. He had healing from John of God and past life regressions with his fellow Hay House author, Anita Morjani. I think we fans all kind of felt he would just keep on going until at least 150, but alas even giants among men are mortal, and last night he answered the call to take that last great spiritual adventure, beyond this reality. I admit that I wrote this with tears in my eyes, thank you Wayne for being there for so many of us when we needed you. God bless you and our thoughts and prayers are with your family at this difficult time. How blessed to have the compassion this man had and shared to so many.